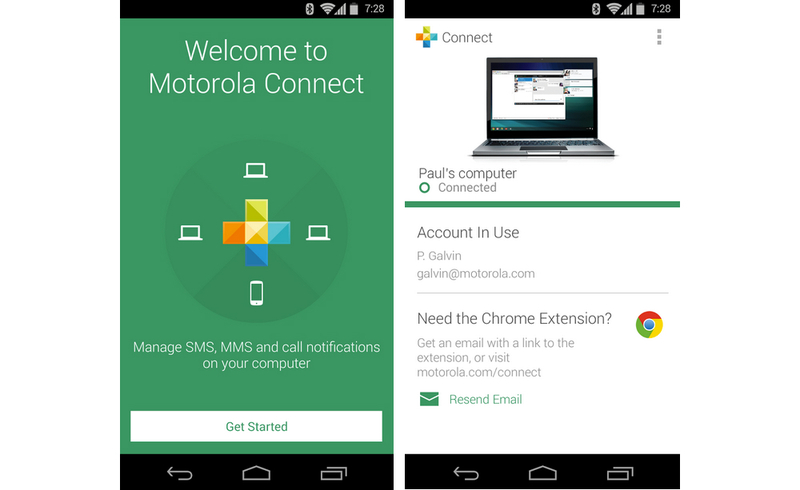 The Motorola Connect application looks to have received an update this afternoon through Google Play, bringing with it what Motorola is calling a “new look and feel.” What exactly that means, we don’t know, but users should expect to see a somewhat refined user interface once having updated the app through the Play Store. On top of a fancy new look and feel, users can now find the application in the app drawer, which is actually new. Apparently, before this update, Motorola Connect was not in the app drawer, so folks looking for quick access to the app through their drawer can now do so. Lastly, Motorola has introduced a new feature called Ring My Phone. With this, users can call their phones from a desktop computer, allowing them to find their phones if they have been misplaced. Good looking out, Moto. Go grab the update through Google Play, and don’t forget to grab the updated Chrome extension as well.